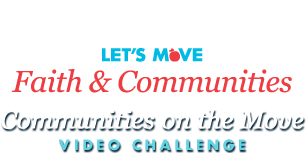 This video presents the Hispanic Health Council’s (HHC) comprehensive approach to the prevention of childhood obesity, through promoting healthy eating physical activity and access to healthy affordable food. HHC is a community-based organization that uses community-based research, evidence-based direct services and policy advocacy to improve the health and well-being of Latinos and other diverse communities. The video’s main feature is the early childhood component of HHC’s “PANA” Program, which is funded by USDA SNAP-Ed funds. PANA provides six engaging and informative nutrition and physical activity-related puppet shows in early childhood centers and school districts in seven of Connecticut’s poorest cities. The shows educate 30,000 children annually, provide related curriculum material to teachers and send educational material to parents. Teacher evaluation data indicate high satisfaction levels, and their comments indicate observed dietary behavior change after viewing the shows, including more fruits and vegetables consumed at lunch time. We are working with an academic partner on securing funding for a randomized controlled trial (RCT) to evaluate PANA. The video also features HHC’s Breastfeeding: Heritage and Pride (BHP) Peer Counseling Program, which is partially funded by the USDA WIC Peer Counseling Program. Breastfeeding is important to childhood obesity prevention. BHP peer counselors provide support among low-income women who experience lower breastfeeding rates. Peer counselors work in clinical and community settings, including clients’ homes. BHP operates in partnership with Hartford Hospital and was replicated at Yale New Haven Hospital. BHP was evaluated through a RCT and is included in the “CDC Guide to Breastfeeding Interventions”. HHC’s SNAP Outreach Program provides a culturally tailored approach to promoting SNAP enrollment. HHC’s six fotonovelas educate population subgroups about SNAP. Partnerships with community agencies facilitate application assistance. More than 1,500 individuals are assisted annually; enrollment rates are above 85%. This is an awesome video. I like that fact that the Hispanic Health Council promotes health through the puppets. What an awesome way to communicate with children regarding obesity. good job, I like the video keep up the good work. Very cute and eye catching. Peers & Puppets a very clever way to engage children's interest in healthy eating habits at a young age. The best one here. Great idea. The puppet shows are a great tool to promote healthy eating habits in young children. Peer education is a great way to promote healthy practices among adults. Great job! Thank you. Puppets communicate healthy messages in a fun and friendly manner. Kids love them. Peer support is an excelent strategy to support breastfeeding initiation and duration. The puppets are wonderful! Not only kids love them but also grown ups. Our experience has been quite the contrary of what deleted 213374 said. This is great! Anything to make kids more involved in their health.